In Reflecting on the Importance of the Past: Why Study History? American historian John Fea looks into the reasons why the study of history is important from a civic, moral, and professional point of view and makes the case that it can strengthen and enhance the witness of the Christian church. As a Christian professor at a like-minded school, Why Study History is primarily directed at Christian students and teachers as a means of correcting some of the misconceptions and poor methodology, but contains keen historic insights from which even the non-believing history buff can gain. Fea shows what it means to be a good historian and shows the benefits of following the methodology he lays out. He is highly critical of historians who moralize rather than analyze and educate. He shows the moral benefits of learning to think like a historian and how these positively affect society as a whole. 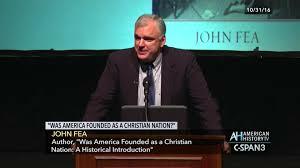 In addition to showing the way in which Christians can benefit themselves and the world around them through the study of history, Fea also shows the worldly benefits that come with a history major which he points out do not all evolve around teaching in a classroom. Fea defends the history profession against the accusation that it is just rote memorization of facts and points out that what makes the historians is not the ability to make up sources or repeat them, but to take them and “shape their narratives in a style that can be described as ‘artistic.’  He counters the complaint toward revisionist historians with the argument that all historians are revisionists and that revisionism is simply an artistic quality that the good historian displays. Fea points to “the five C’s” of history outlined by historians Thomas Andrews and Flannery Burke as exemplary qualities of the good historian. They are keeping in mind change over time, context, causality, contingency, and complexity. Keeping in mind his audience, he pays a special amount of attention to contingency and delves into the limits of human will on history and the will of God, emphasizing that the history profession is the study of humans and their willful actions. He points out that despite the intense boredom that high schoolers display toward history and the awful memories that adults have toward their high school history classes, popular history is a form of consumerism and entertainment has soared in recent decades. Americans also consume history during their vacation time at museums and history-related parks, as well as the popularity of the History Channel. This shows that history is not a dead subject with no popular appeal, but that it simply must be rebranded as an item that fulfills a want or desire among the general public. Some of these wants that Fea identifies are the desire to be inspired, escape the pressures of modern life, discover a sense of self, envison a better future, and promote our social and political commitments. 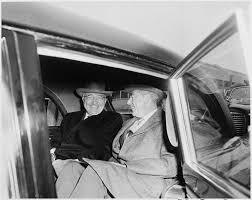 Fea finds fault with the tendency of many historians to moralize rather than simply present the facts. This not only shows unprofessionalism, but turns people away from the study of history. He agrees with historians Walter Bloch, Henry Commager, and others that it is pointless for historians to express moral indignation in their works. For instance, it does no good for a historian to rant against obvious social evils like slavery or atrocities like genocide as there is broad consensus in the inherent evil in these topics and even if there was not, this is not the historian’s job. He compares and contrasts the presentations of Annette Gordon-Reid on Thomas Jefferson and Sally Hemmings and Eric Metaxas on Dietrich Bonhoeffer to show why historians should not moralize. Gordon-Reid, who is a black historian does not pass judgment on Jefferson, but simply produces the facts behind this episode and allows the consumer to form his or her own opinions. Metaxas on the other hand turned his presentation into an hour-long sermon on why and how Christians should become activists in their society based on the example set by Bonhoeffer. He acknowledges it is impossible to entirely hide one’s feelings about the morality of a particular topic and offers five guidelines that the historians should follow in order to keep his judgment true to his or her profession. If historians pass moral judgements, they should only be done after everyone involved is clear on the historic facts. If they give their opinions, they should be careful that preaching does not trump historical interpretation. When they pass judgment, it should be characterized by clear, historical understanding and mature Christian, moral thinking. Historians should remember that they too are sinful human beings when judging actors from the past and they should remember that historic characters were morally complex characters, of whom Jefferson is a prime example. Fea argues that the study of history is beneficial from a moral standpoint and that Christians should partake in it because it teaches people to empathize with others and better impact society. He does not believe Christian historians should be inclusive the same way that modern Progressives advocate in order to meet some standard of political correctness, but because of imago Dei – the idea that every human being is created in the image of God and carries inherent worth regardless of culture, gender, ethnic background or even accomplishments. This all-inclusiveness is especially relevant when one considers the universal sacrifice of Jesus for the sins of everyone. When someone studies the past, he does not simply learn what happened, but why it happened. Even though most historic actors are long deceased, the student of history has access to their reasoning and behavior in a way that helps him gain a better understanding of people who are not like him in his own world. This is beneficial to society as well because it has the potential to generate a greater civility among democratic participants. Fea quotes John Lewis Gaddis: “History dethrones us from our original position at the center of the universe.” When a person views past actors from the complex perspective of historic analysis, he can better view those in today’s world in the same way, which allows him to care more for them and be able to easier convince those of an opposing viewpoint to his side. Building on this point in the last chapter, Fea lists the type of professions in which the history major can enter and succeed and lists dozens of successful actors, entrepreneurs, politicians, journalists, ministers, and others who majored in history. He relates how a job applicant’s historical perspective and critical thinking skills she gained as a history major landed her a job with the Hershey Company to show that a history education rather than simply preparing individuals to enter a specific career field, gives them the preparation needed to make a living in any economic environment. With the average number of job changes among millennials before retirement expected to be nearly a dozen, Fea argues that the skills of a history major are important today as never before. Fea convincingly makes the case that a history education is important from a moral, civic, and practical standpoint. Writing from a Christian perspective and aiming at a mainly Christian audience, he spares no heat toward those who seek to use the study of history for their own political or ideological positions, even if those positions are Christian or well-intentioned morally. For Fea, history is the complex study of sinful characters of the past that keep us humble as well as teach us how to better live our lives in the present by avoiding the pitfalls of bygone eras. He finishes by showing that the benefits of history are not only intellectual, but that a person can improve his thinking skills and better learn to empathize with others while making an excellent living in any of a wide variety of professions to which he can transfer the skills learned in history classes. Reynolds. Matt. “America as a Christian Nation? Cherry-Picking from the Past.” Christianity Today. May 16, 2011. John Fea, Reflecting on the Importance of the Past: Why Study History? (Grand Rapids, MI: Baker Academic, 2013), viii. Fea, Reflecting on the Importance of the Past, 42. Faculty – Department of History, Messiah College, http://www.messiah.edu/info/21426/our_faculty. Matt Reynolds, “America as a Christian Nation? Cherry-Picking from the Past,” Christianity Today, May 16, 2011, http://www.christianitytoday.com/ct/2011/may/cherrypickingpast.html. Fea, Reflecting on the Importance of the Past, 160-162. Fea, Why Study History, 3.